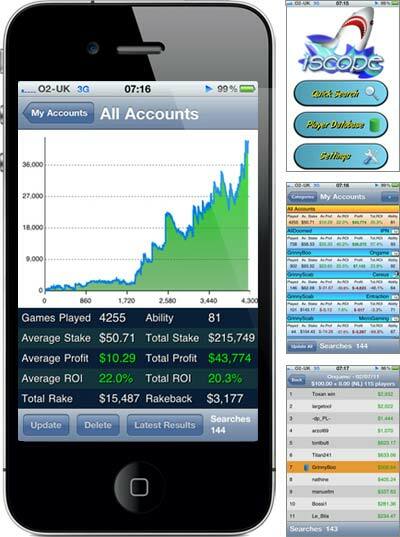 iScope is an iPhone application for displaying your online poker tournament results. It connects to the SharkScope service for the best and most up to date statistics available. Click here for a full list of features or to purchase it. You can also talk to the developer in our forums.